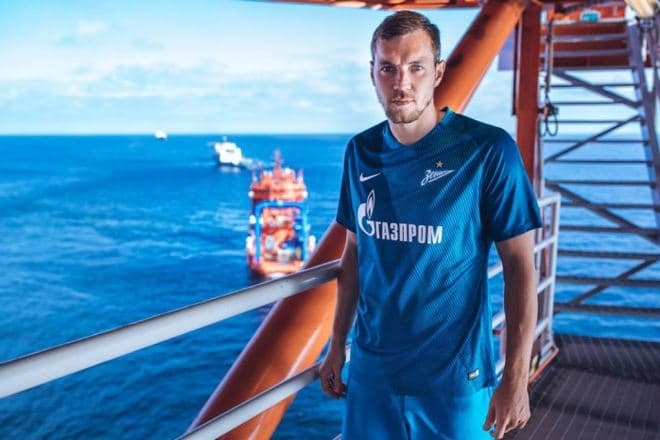 Artem Dzyuba is the Russian soccer player, the center-forward of Zenit Saint Petersburg and Russian national team, Russian Cup two-time winner, and the master of sports. Nowadays, he has been loaned by Arsenal Tula. The future forward of the Russian national team, Artem Sergeyevich Dzyuba was born in Moscow. His family was not engaged in sports: the father Sergey Vladimirovich who came from the Poltava region worked in a law enforcement agency, and the Chuvash mother Svetlana Aleksandrovna was promoted from a salesperson to the assistant director of a grocery store. Artem’s parents met in Moscow; after the marriage, they lived in a communal flat and bought their own apartment later. There were two children in this marriage: in August 1988, the son Artem was born, in 1992, the daughter Olga was born. Artem took an interest in sports early. At 8, the boy was accepted to “Spartak” academy. Aleksandr Yartsev selected the promising sportsman and gave him recommendations. This is how Artem Dzuyba’s sports career started. In 2005, Dzuyba was transferred to the adult team. Upon Eugeny Sidorov’s recommendation, Artem played in Spartak reserve team. The young soccer player’s successful performance was noticed, and he went to the first eleven. In 2006, Dzuyba debuted on the soccer field: it was the Russian Cup match against Ural Yekaterinburg. Later, the player stood out in the Russian Premier League when Spartak and Saturn Moscow Region played in the 12th tour. The game for the Russian Cup with Ural followed. In 2007, Artem Dzuyba became the permanent Spartak member. He managed to score six goals in 27 matches which gave ground to call him the best attacking player of the season. 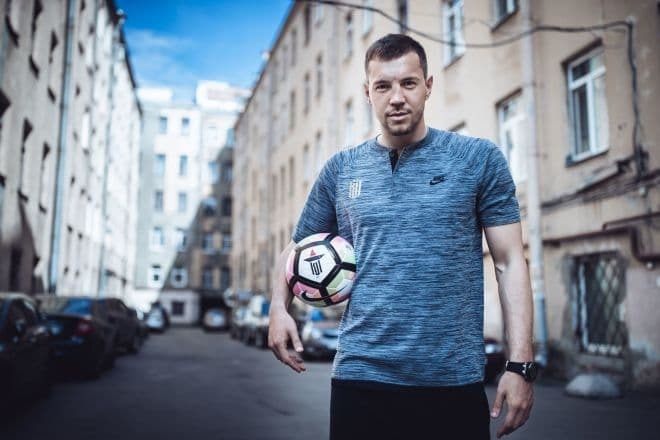 In 2009, the soccer player’s career was marked with the scandal: during the competition in Austria, Vladimir Bystrov lost a considerable sum of money, and the money was found in Dzuyba’s things. Artem claimed he was the victim of a scam and he betrayed by someone. As a result, the sportsman was transferred to Tom Tomsk where the player quickly won everybody’s respect. In 2010, the player became the main forward of the team. In that season, he managed to score ten goals and returned to Spartak. The next two seasons were successful: Artem scored one of the three goals in the game with the Swiss Basel. The Russian team won, the score was 3:2. In May 2021, Artem Dzuyba played with the captain’s band in the guest game with Zenit Saint Petersburg. In the same month, the team got to the Champions League. In 2012, the player had some decline; Emmanuel Emenike replaced him in the first eleven. In November, Valeri Karpin became the head coach of the team; Artem was to become a reserve player. Thus, the sportsman went to Rostov on loan. In May 2013, he scored two goals in the match with Terek which led Rostov to the victory. In July of the same year, the soccer player did a hat trick in the game with Tom and became the best attacking player of the championship. In Rostov, Artem Dzuyba won his first prestigious prize, the Russian Cup. In the course of time, he came back to Spartak again. In the game with Rubin, he scored two goals, just like in the match with Dinamo. 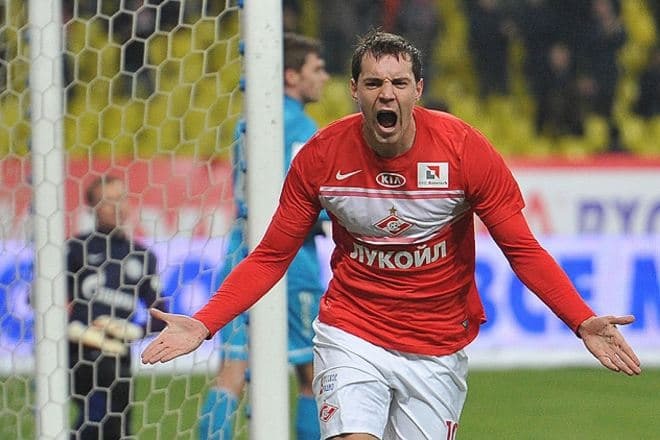 In fall 2014, Dzyuba did not extend the contract with Spartak. The press talked about the sportsman’s possible transfer to Lokomotiv. In fact, the forward received the offer to play for Zenit Saint Petersburg; the new contract cost €3,3 million. Dzyuba joined the team in July 2015. He said he was happy to be in the team that aimed at winning in all matches. In the same month, the player debuted successfully: he scored a penalty in the game with Dinamo Moscow. In August 2014, had his nose broken during the game against Terek because of the collision with the Brazilian Adílson Warken. After that, he appeared on the field wearing a special mask. In September 2015, Dzyuba recovered from the injury and scored to the Spartak’s gate to even the score: 2:2. Still, the forward did not celebrate this goal: he respected his first club even though he was no longer its member. In Zenit, the player received number 22. Artem Dzyuba started playing for the youth national team in 2009: in 9 matches, he scored four goals. In 2011, he was included in the second national team; in November, he became one of the first eleven. In the same month, he earned a penalty that Roman Shirokov kicked successfully. After a time-out, Artem was included in the national team again; in September 2014, he took part in the Euro-2016 qualifying match. In September 2015, Dzyuba scored to the Swedish national team’s gate and brought Russia the victory. Several days later, he managed to score four goals in the game with Lichtenstein. Dzyuba became the second soccer player of the Russian national team who scored more than three goals in one game. On October 9, 2015, Artem Dzyuba scored the 8th goal in the Euro-2016 qualifying match against Moldovia: it was a new goal record in the Russian team. Fans remember one more Zenit’s match due to the scandal after the game between Zenit and Krasnodar. Dzyuba scored only at the 86th minute. The victory seemed to be close, but the opponent managed to win it back during the extended time; 2 goals were scored to Zenit. Dzyuba gave an obscene gesture to his teammate, the goalkeeper Yuri Lodygin. The media blew the trumpets all over the world: the players had a fight in a locker room, but the club representatives and the players themselves denied these rumors. In 2017, Artem Dzyuba became the 44th captain in the history of Zenit. Before the team went to Spain for training, the head coach announced this news. 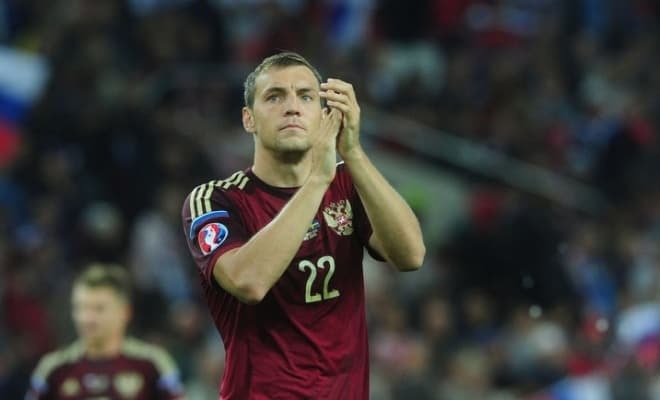 Soon, the Russian press informed that Artem Dzyuba decided to continue his career in China. The player himself wrote it on his Instagram page. According to Dzyuba, this decision was hard for him. The majority of Twitter and other social network users considered this information to be a joke. It was a joke, indeed. In November 2017, Dzyuba had his 100th match in Zenit; the team played with Tosno. Later on, the player was not included in the first eleven. Rumors had it that Artem was going to leave for CSKA. 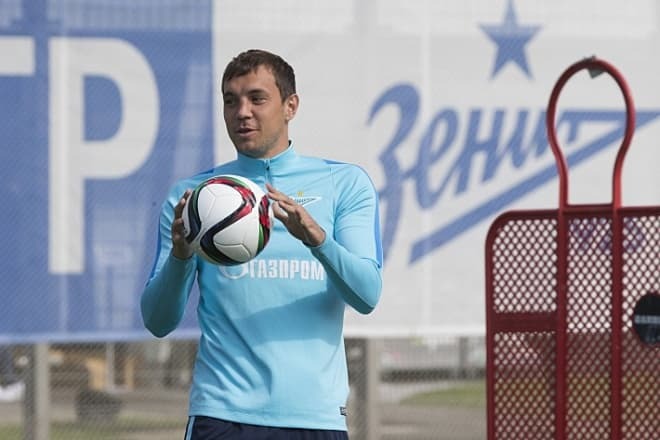 However, no transfer was being planned: Dzyuba was preparing to play as a loaned player. In January 2018, he was loaned to Arsenal Tula until the end of the season. Since June 1, 2017, the Italian Roberto Mancini became the club’s head coach. Dzyuba and Mancini did not get on well. To many soccer lovers’ surprise, the player’s results improved after the loan: he scored goals, not sat on the bench. 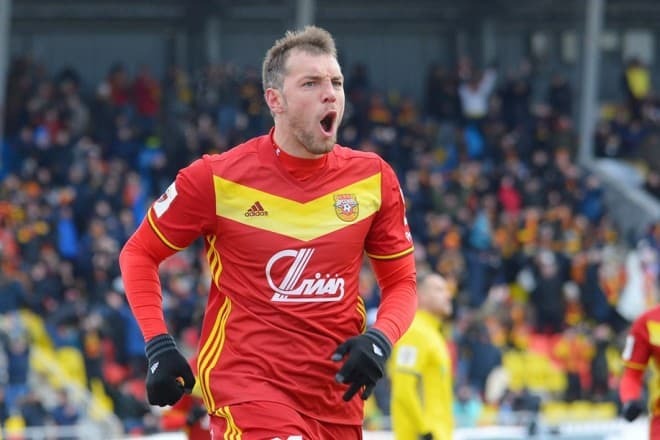 In April 2018, the match between Zenit and Arsenal Tula took place; it was the Arsenal forward Dzyuba who helped the Tula team tie the game. He evened the score on the 89th minute and celebrated this goal in front of Zenit bench; he turned his back to Roberto Mancini and pointed to his name on his T-shirt. 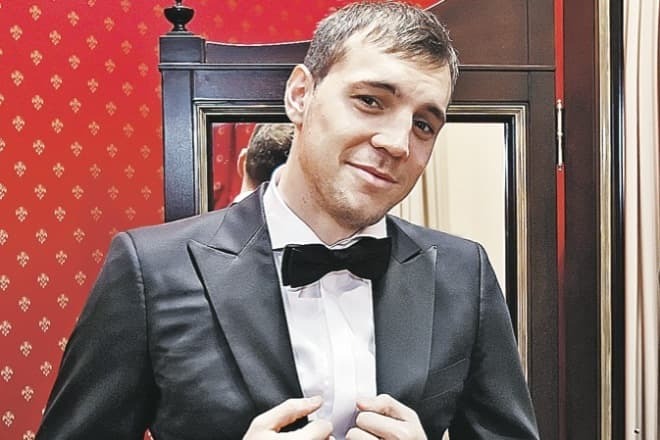 Dzyuba is married; his wife’s name is Kristina. Artem and Kristina met in Nizhny Novgorod when the young woman studied at the local university. In the month, the couple married. In 2013, their son Nikita was born. The tall, handsome man (Artem’s height is 194 cm., his weight is 96 kg.) has always been noticed by women. In March 2015, the Russian media published the sensational video where the soccer player and a blonde met and got on the same car. Journalists recognized the popular TV presenter Maria Orzul. These facts provoked a public scandal: both Dzyuba and Orzul were married. Later, Dzyuba commented on the situation: it was a significant lesson for him, he revised his values and understood what he could have lost. The player confessed he felt ashamed in front of his wife, yet they managed to save the family. On February 26, 2016, Dzyuba’s second son Maxim was born. Artem does not like talking much about his family, and he does not post the children’s photos on social networks. However, he said his elder son goes to a soccer club, and the younger son is a little naughty, so he might choose hockey in the future. 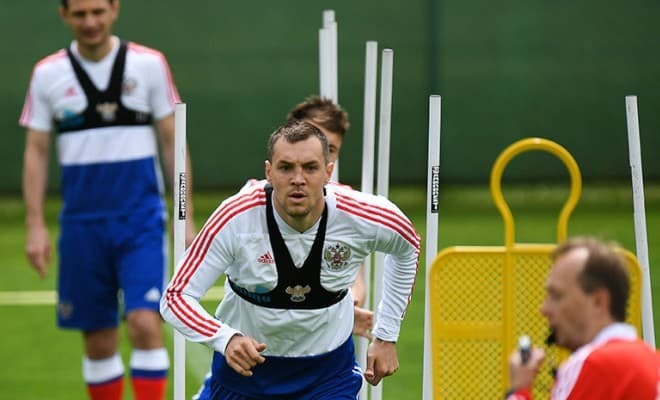 In March 2017, Dzyuba could not take part in the Russian national team’s preparations in Krasnodar: the forward had hurt his knee and did not appear at the first training. Dzyuba was examined in Moscow, and doctors allowed him to join the team. In one of his interviews, the forward commented on the referee-related scandals that broke in the second part of the country’s championship. According to the player, to invite foreign referees would be the most rational option for the Russian Premier League because those who came from other countries could do a high-quality job. Artem’s statement about Spartak was also scandalous: the forward said that Spartak’s adequate fans deserved to see their favorite team the champion, but there were some sectarians who made him wish the Moscow team would not win the victory. These words shocked the public; journalists and experts took it to heart. Artem Dzyuba is considered the most highly-paid soccer player in the Russian national team. According to unofficial data, he earns €3,6 annually, and the transfer cost in June 2018 was €7 million. 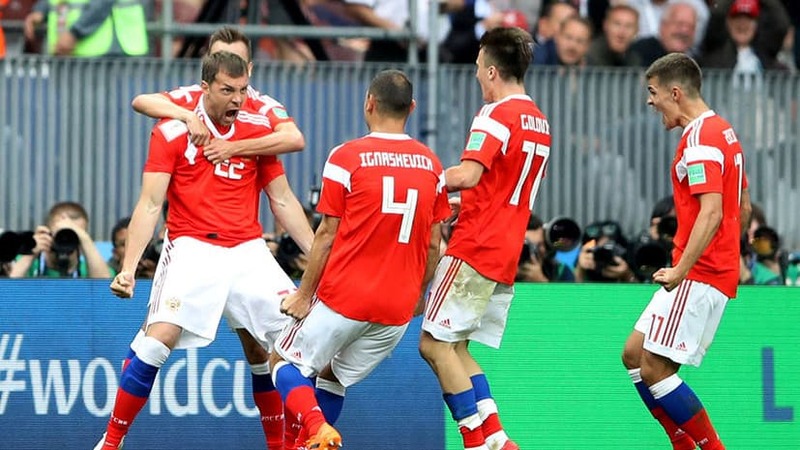 In June 2018, it was announced that Dzyuba was included in the final lineup of the Russian national team at FIFA World Cup. On June 14, 2018, the opening FIFA World Cup 2018 match took place at the Luzhniki Stadium. The Russian team defeated the Saudi Arabia team with the score 5:0. Artem Dzyuba replaced Aleksandr Samedov and scored by his head at the first minute after the replacement.